If you're looking for the best-value upmarket family homes in the Cape Town metro, you should head for Durbanville, which also offers a relaxed "country" lifestyle in a beautiful setting surrounded by hills and wine farms. So says Charl Louw, director of Chas Everitt International Northern Suburbs, who notes that the demand for homes in this already popular area has been boosted recently by the launch of the posh Clara Anna Fontein estate on its northern edge, and the publicity given to several smaller new developments in its suburbs. "We have experienced an increase in both sales volumes and prices over the past year, although the relative affordability of Durbanville is still the major attraction, especially for growing families seeking spacious suburban homes close to excellent schools and other amenities." There is especially good value to be found, he says, in more established central suburbs like Valmary Park and Durbanville Hills, where many buyers are currently seeking out sturdy "traditionals" to renovate and homes that have already been modernised at prices ranging from around R2,5m up to about R6,5m. "Homes here often have lovely views of the Durbanville Hills, and buyers will pay a premium for these. The upmarket Belvedere security estate, for example, has recently seen several buy-to-renovate transactions." Other estates like Welgevonden, Avalon, Graanendal and the Durbanville Country Estate are also experiencing increased demand, says Louw, especially among families relocating from Gauteng and elsewhere. 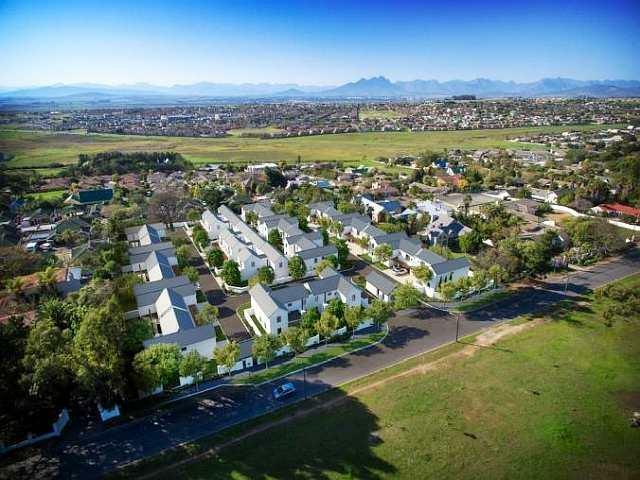 "However, about 43% of buyers in Durbanville now are under the age of 35, and the most active price range is R1,5m to R2,2m, which reflects the rocketing demand for the newer developments in areas like Pinehurst, Sonstraal Heights and Uitzicht. "Young professionals are streaming to the area because it offers a great combination of reasonable proximity to workplaces in Cape Town and Century City and the opportunity to enjoy a great quality of life in a low-key environment and a wide range of outdoor activities in the surrounding countryside. And we expect this trend to grow once the improvements to the N1 freeway are completed and the area becomes even more accessible." Durbanville's low crime rate and excellent medical facilities (including a large mean that it is also increasingly sought-after by retirees, he says, but sales in this age bracket are currently constrained by the lack of specialised retirement developments - and the fact that those who have raised their families here tend to stay on even after selling their big homes. About 23% of current owners are over the age of 65. Schools in the area include the highly-regarded Durbanville and Fairmont high schools, the Eversdal, Gene Louw and Durbanville primary schools, Durnbanville Preparatory and a host of private institutions such as Meridian Pinehurst, Curro Durbanville, Curro Castle, and a Reddam House primary school. There is a large Mediclinic in Durbanville with many specialist doctors and there are very good GP, dental and other medical practices located throughout the suburbs. The Tyger Valley Academic hospital is also close by. Durbanville also has many convenience shopping venues including the Aurora, Willowbridge, Graanendal, Heritage and De Ville centres. The new Village Square centre is also due for completion shortly and it is easy for residents to access the Tyger Valley regional mall on Durban Road.